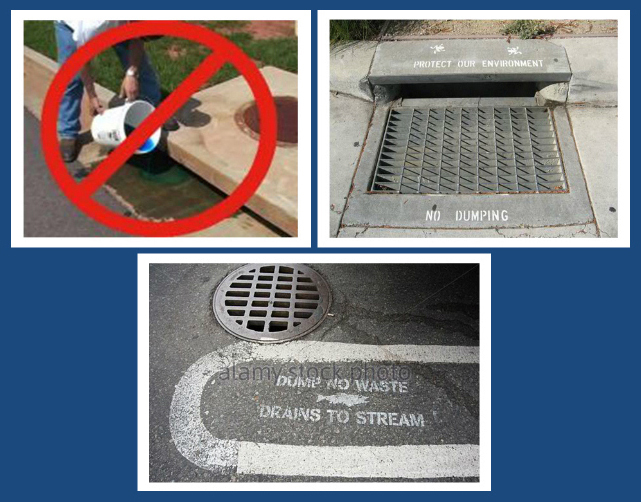 Home Things you can do to reduce stormwater runoff - Don't dump stuff down a storm drain! Don’t dump stuff down a storm drain! You can help keep storm drains and inlets clean near your driveway or home by clearing leaves, trash, and debris from around the drain. Dumping used oil, paint, or other "stuff" into storm drains is illegal. Most storm drains empty into a creek, river or lake without treating the water. Only stormwater should go in the storm drain!